Build your best prospect list. Apptopia’s app-level SDK recognition data is rolled up to the service provider level. 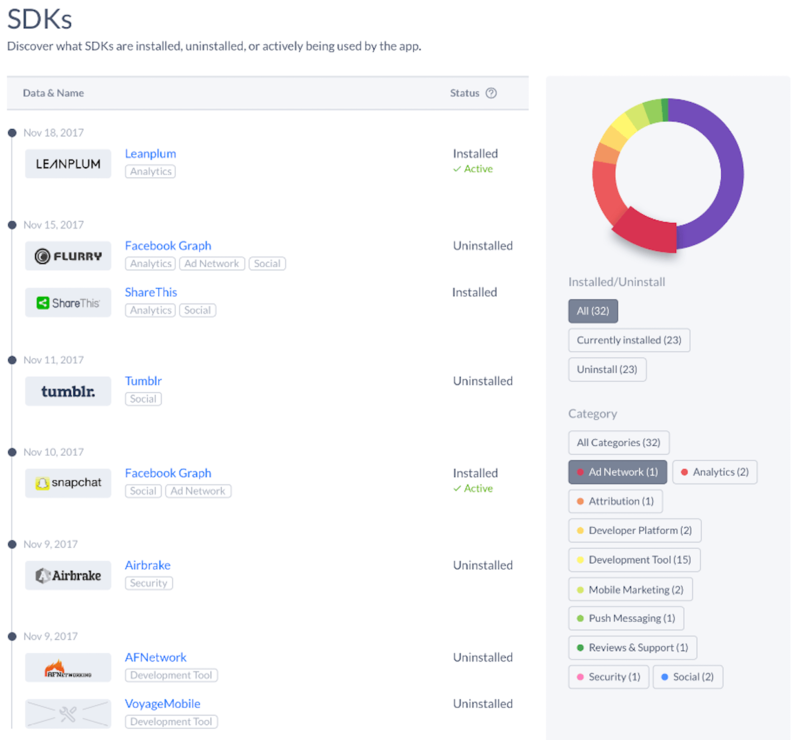 You can see how many installs any SDK has, the categories in which it’s most popular, and the apps that recently installed or uninstalled it. Our SDK vendor intelligence is available for every free app in the iOS and Google Play store, for more than 50 countries. Chinese app stores are added regularly and include Tencent, Quihoo 360, and Xiaomi.